When you have a meeting agenda, you’re organized and prepared. You have the right conversations. You get s*it done. 💪 Here’s a look at what happens before, during and after your one-on-ones and team meetings when you use SoapBox to build your agendas. 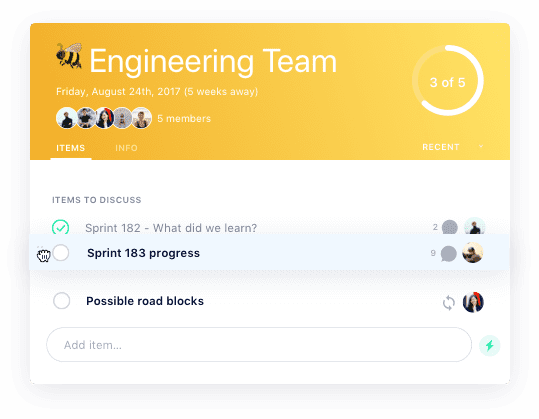 With a few gentle nudges from SoapBox, your team will show up to meetings prepared, so that when you’re gathered as a group, you’re making decisions and resolving problems (no surprises!). 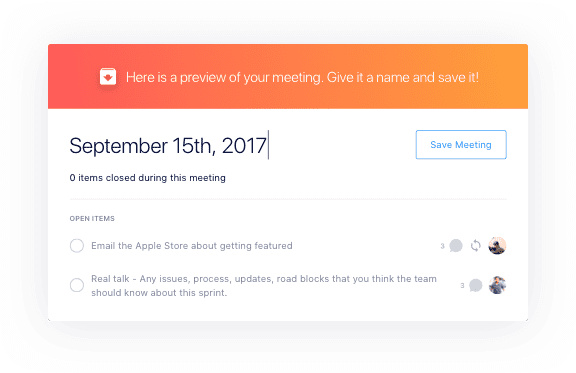 With SoapBox, your online meeting agenda is a shared responsibility for your team, whether you’re all in the same office or scattered across the country. 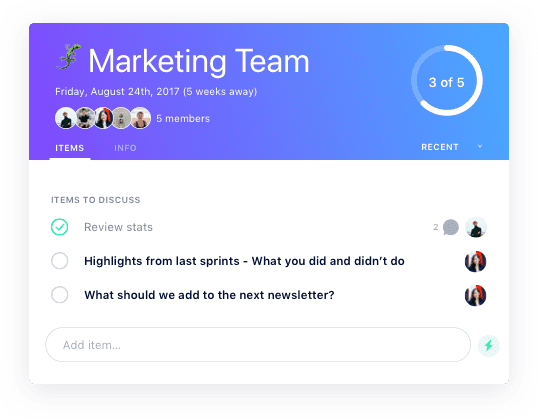 Integrate with Slack or Microsoft Teams to add agenda items and get meeting reminders! Order your agenda based on what's most important to your meeting. Didn’t get to those items at the bottom? Don’t worry! Any agenda items you don’t check off will automatically move to your next agenda when you finish the meeting. "I love how easy it is to add agenda items through Slack! Sounds obvious but it saves me a good amount of time." 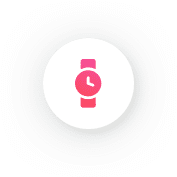 Every meeting needs minutes! Make comments and summarize decisions, right within the agenda – no need for a separate list or note-taking tool. All notes and comments are shown in real time, so even remote team members are participating in the conversation (no shared screen needed! 🎉). Want to remember their dog’s name, or an upcoming work milestone? The “Private Notes” section of each agenda is your own hidden space to keep notes 🤫. 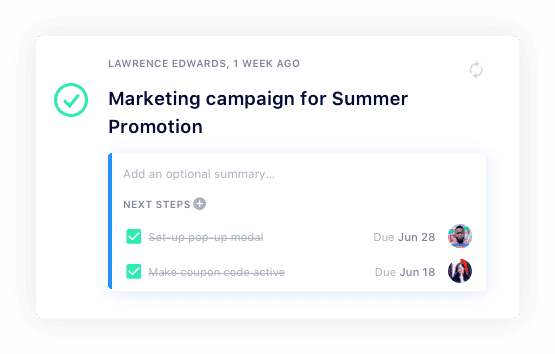 Our Next Steps feature lets you assign action items with a deadline to any team member. When all Next Steps are finished, the agenda item can be checked off. The progress circle in the top right corner of your agenda will show you how far you've gotten. There’s also a progress circle for each agenda item! If you want your meetings you matter, you need to follow up. The SoapBox meeting agenda tool makes this final step simple and easy. 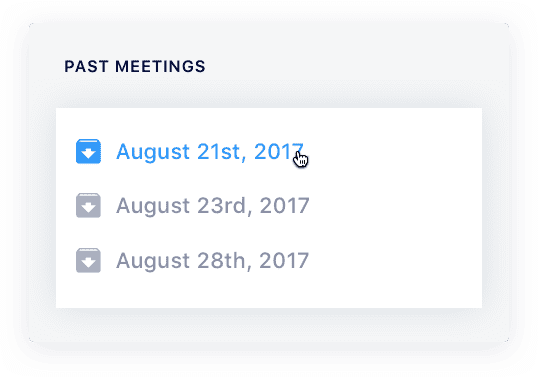 It even sets up the next recurring meeting automatically, so your next agenda is ready to go! After each meeting, click “Finish meeting” to archive closed items and notes. This will restart the agenda for next time (with any un-checked and recurring agenda items on it). In other words, your next agenda is created automatically – no copy-and-pasting required! Forget a decision? Want to review a discussion? All your archived meetings are available directly below your current agenda. Any meeting participant can revisit previous agenda items, comments, decisions and Next Steps at any time. It’s easy to hold each other accountable with Next Steps integrated into your agendas. You can’t check off agenda items until all their Next Steps are completed, so nothing ever falls through the cracks. Thousands of managers use our free app to make amazing one-on-one and team meeting agendas. You can too!